Shapes Knobby, round clusters, elongated and uneven, ranging in size from 7.5 to 10 cm long, 3–5 cm thick, with nodes, inter nodes and eyes and vaguely resembling ginger root. Also known as sunchoke, the Jerusalem artichoke (Helianthus tuberosus) is native to eastern United States and Mexico and belongs to large Compositae family that includes lettuces, globe artichokes and sunflowers. In spite of its title, the Jerusalem artichoke doesn’t have relation to Jerusalem and it’s also not just a kind of artichoke. The plant look like a sunflower, but it also yields a large number of edible tubers that are knobbly and look a lot like ginger in appearance. Tubers are smaller, sweeter, crisper and nuttier than potatoes. As the Latin name recommends, Jerusalem artichokes develop tubers that are the edible portion of this plant. This plant is not related to the globe artichoke whose edible portion is the developing flower bud. Earth Apple, Sunflower Artichoke, Topinambur, Canada Potato, Sun root, Woodland Sunflower, Girasole, Jerusalem Artichoke, Jerusalem sunflower and Sun choke are some of the popular common names of Jerusalem Artichoke. Jerusalem artichoke is a tall, hardy, herbaceous perennial that grows up to 1.5–3 m high with a yellow flower like a sunflower. It will grow in any soil but prefers friable, moderately well-drained soil in full sun to partial shade. It does best in temperate climates. It has fibrous roots with thin cord-like rhizomes that grow as long as 50 inches. Stems grow as tall as 12 feet, and are stout, rough, ridged and hairy. Stems will become woody over time. Leaves are opposite (2 leaves per node) on the lower part of the stem, and alternate (1 leaf per node) near the top of the stem. 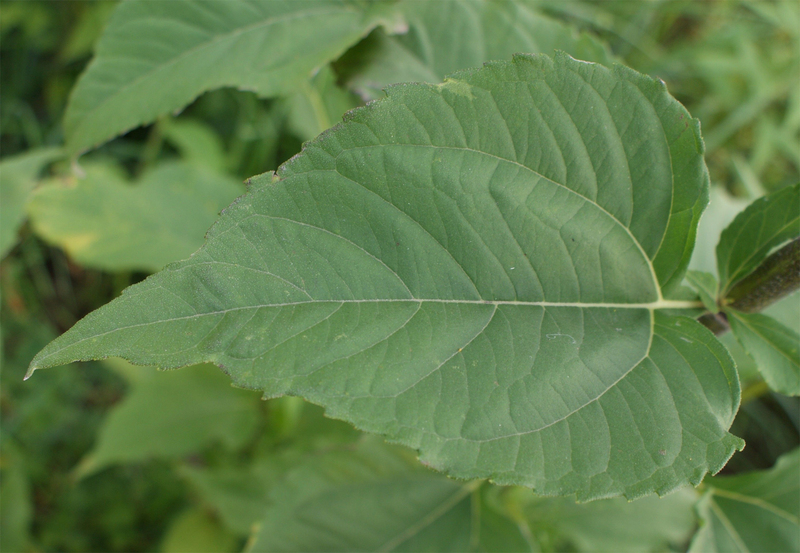 Leaves are 4 to 10 inches long and almost heart-shaped with a broad oval base and pointed tip. The thick leaves have 3 distinct main veins, coarsely-toothed margins, and attach to the stem by way of a winged stalk (petiole). The upper leaf surface has coarse hairs while the lower surface has soft hairs. Flowers are yellow and produced in capitate flower heads that are 5–10 cm (2.0–3.9 in) in diameter, with 10–20 ray florets and 60 or smaller disc florets. Fruits are Cypselae 5–7 mm, glabrous or distally hairy; pappi with 2 aristate scales and 0–1 deltoid scales. Seeds are smooth, wedge-shaped, and gray or brown with black mottling. 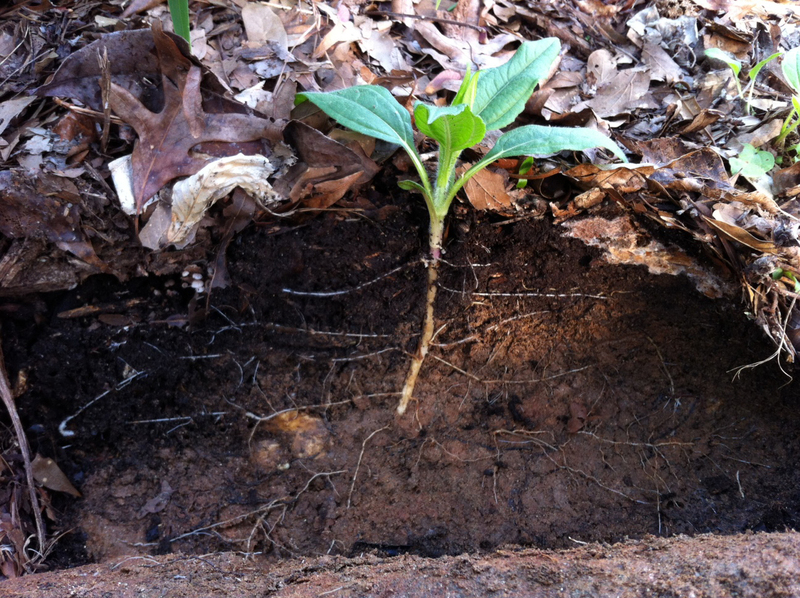 Jerusalem artichoke is cultivated widely across the temperate zone for its tuber that is used as a root vegetable. The tubers are knobby, round clusters, elongated and uneven, ranging in size from 7.5 to 10 cm long, 3–5 cm thick, with nodes, internodes and eyes and unclearly resembling ginger root. It is normally pale brown to white, red and purple in color while the inner flesh in white in color. It has nutty flavor which is similar to artichoke and has sweet nutty taste. The peak season for Jerusalem artichoke harvesting is from March and May. Due to its nutty taste and beneficial nutrients it is found used in several food items as well as ancient traditional medications. 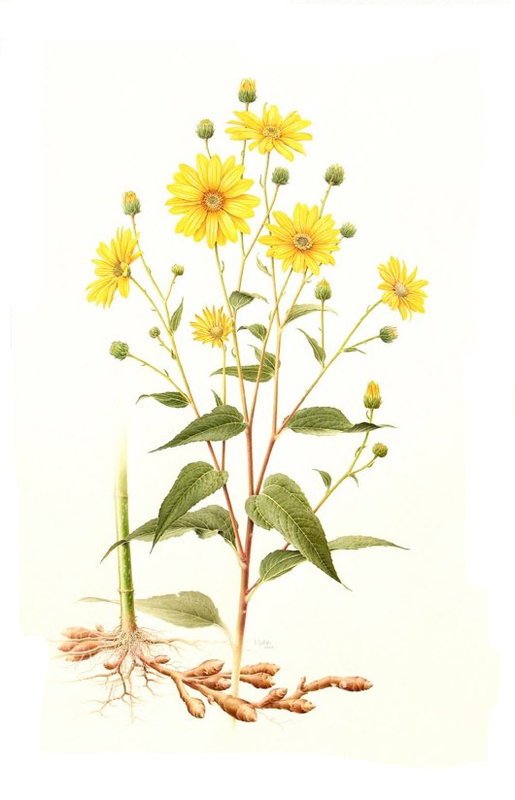 Jerusalem artichoke is an ancient Amerindian indigenous to eastern North America from Maine west to Dakota and southwards to northern Florida and Texas. 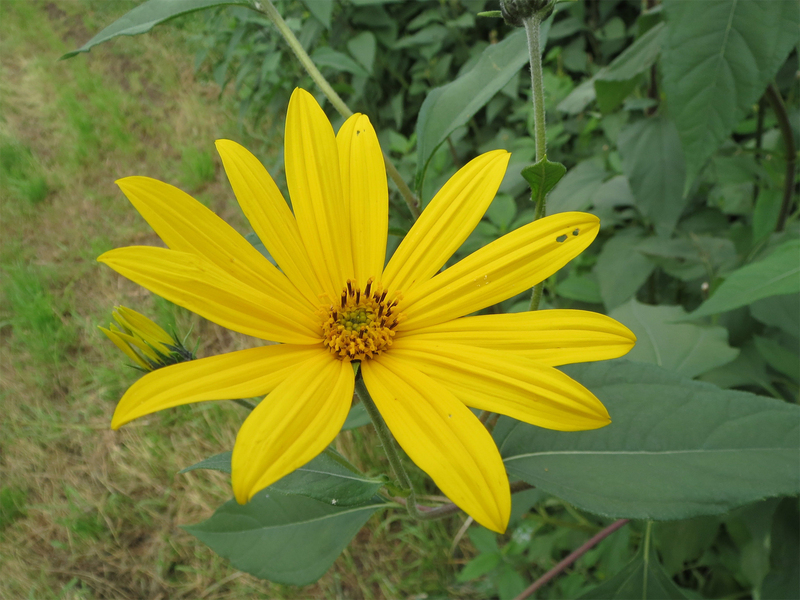 Jerusalem artichoke is native to North America and may have originated in the Ohio and Mississippi River valleys. 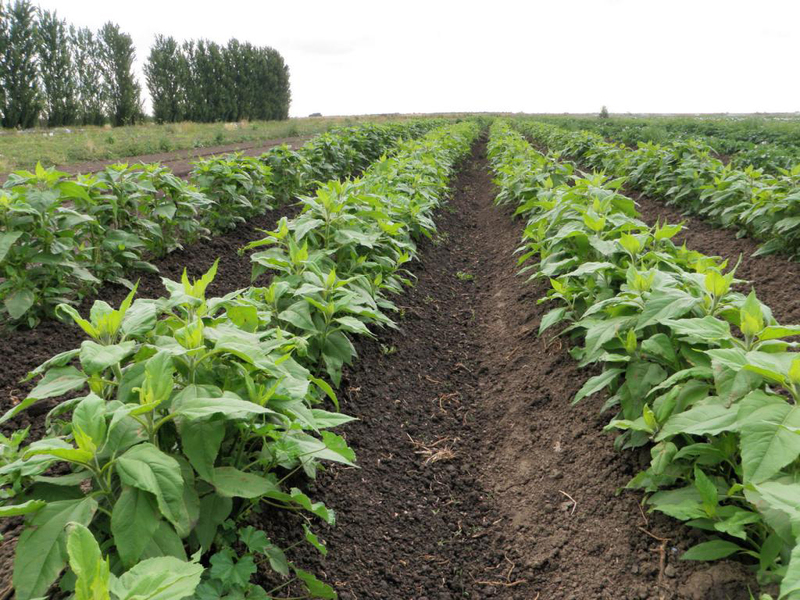 The very first written account of the plant was a report issued in 1605 by Champlain, a European explorer, who observed Native Americans growing Jerusalem artichoke along with corn and beans in a Cape Cod garden. The species was introduced to Europe in 1612 where it gained popularity as both human and animal food. Its current range in North America extends from the East Coast to the Midwest and from southern Canada to Georgia. This native plant dwells in roadsides, riverbanks, fencerows, and agronomic fields, selecting rich, moist soils. It is now extensively grown in many places around the world, including North America, Germany, France, Italy, East European countries, China and also (in spite of low suitability) in some tropical countries in the cooler highlands (India, Indonesia, Malaysia, Kenya, Zaire and Nigeria). Apart from their nutty taste Jerusalem artichoke is a good source of nutrients, vitamins and minerals. Consuming 150 gram of ginger offers 5.1 mg of Iron, 0.3 mg of Vitamin B1, 0.21 mg of Copper, 26.16 g of Carbohydrate, 117 mg of Phosphorus, 644 mg of Potassium, 1.95 mg of Vitamin B3, 0.596 mg of Vitamin B5, 0.116 mg of Vitamin B6, 45 mg of Choline, 0.09 mg of Vitamin B2 and 6 mg of Vitamin C.
Calories 110 Kcal. Calories from Fat 0.18 Kcal. Soluble fiber present in Jerusalem artichoke helps to lower blood cholesterol level by lowering low density lipoprotein or bad cholesterol levels. Apart from that fiber is also beneficial for other heart health benefits like reducing inflammation and blood pressure. Raw Jerusalem artichoke consists of 2.4 g of Fiber which is 6.32% of the daily recommended value. Jerusalem artichoke consists of considerable amount of potassium and minimal amount of sodium, which is helpful in lowering blood pressure. One cup of raw tuber contains 644 mg of potassium and only 6 milligrams of sodium. 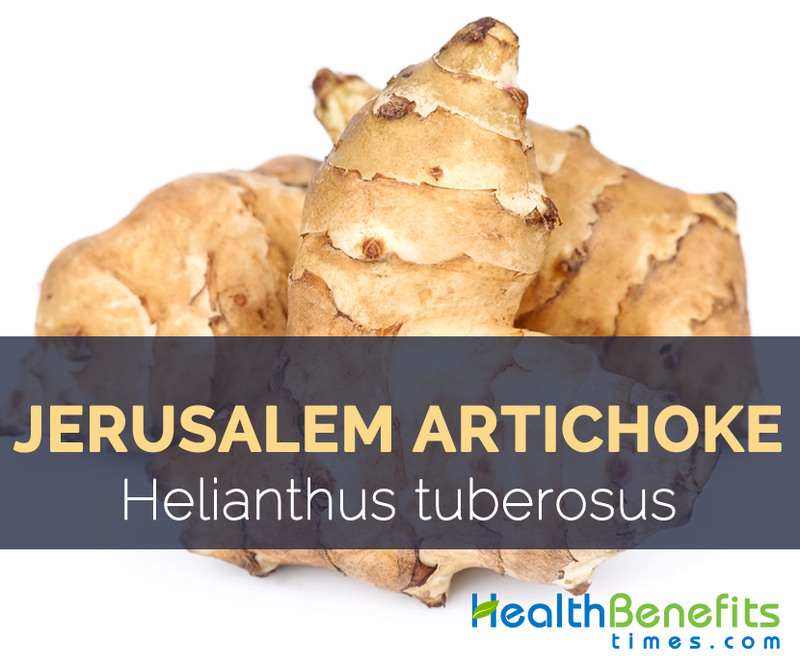 Similarly, the fiber content in the Jerusalem artichoke is supportive in improving the performance of insulin in the body, which helps in the lowering of blood pressure. Antioxidant vitamins like vitamin A, vitamin C and vitamin E are available in Jerusalem artichoke in minimal amounts. All these vitamins along with flavonoid compounds like carotenes helps seek and remove free radicals, providing the body protection from cancers, viral cough, inflammation and common cold. One cup of raw tuber consists of 2 µg of vitamin A, 6 mg of vitamin C and 0.28 mg of vitamin E.
Iron which is sufficiently found in Jerusalem artichoke is an essential element for better muscle health. Iron is present in the muscle tissue and helps to provide the supply of oxygen which is needed for contraction of muscles. Without sufficient iron muscle will lose its tone and elasticity which leads to muscle weakness and muscle weakness is one of the major indication of anemia. Jerusalem artichoke consists of sufficient amount of Thiamine which is essential for producing neurotransmitter called acetylcholine which is used to relay message between nerves and muscle. Our heart is one of the main muscles that rely on these crucial signals. So as to maintain proper cardiac function and healthy heart beat rhythms, the nerves and muscles must be able to use bodily energy to keep signaling to each other. Recent research has shown that thiamine is helpful in combating heart disease since it maintains healthy ventricular function and to help treat heart failure. Copper is a powerful antioxidant which is present in Jerusalem artichoke which works in presence of antioxidant superoxide dismutase to safeguard the cell membranes from free radicals. It is one of the powerful antioxidant which helps to fight against free radicals. Free radicals may attack several organs systems but are particularly studied in terms of their effects on aging like age spots, wrinkles, macular degeneration as well as kidney malfunctions. Therefore sufficient amount of Copper is required for looking younger for longer time. 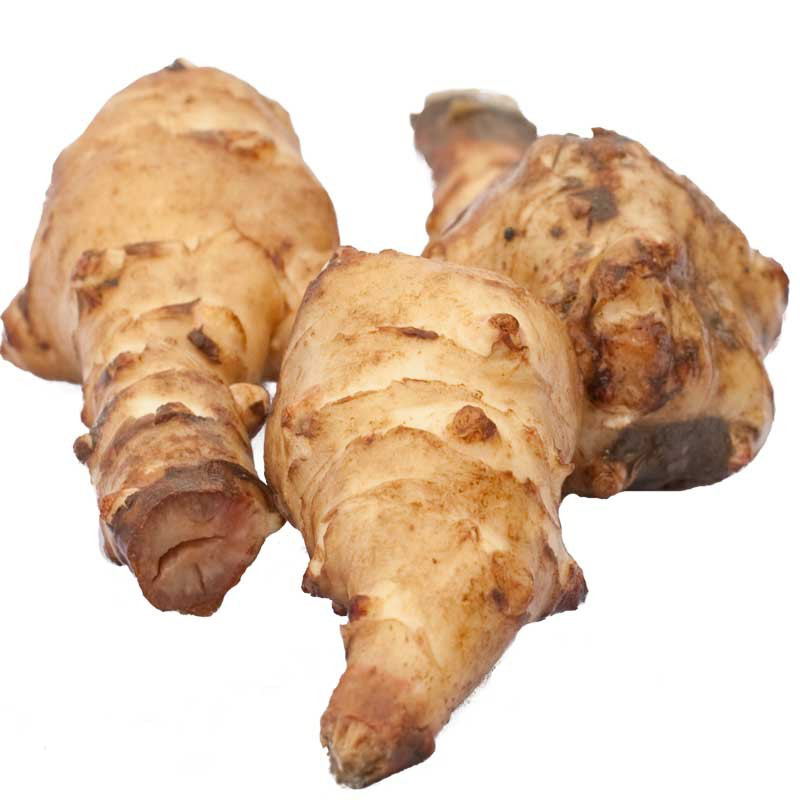 Raw Jerusalem artichoke consists of 0.21 mg of copper which is 23.33% of the daily recommended value. Jerusalem artichoke consists of huge amount of phosphorus which is bone and teeth health. Phosphorus along with calcium and vitamin D plays an important role in formation and maintenance of dental health by supporting tooth enamel, jaw bone mineral density. Apart from that these vitamins and minerals also help to heal tooth decay. Basically children need foods that are high in phosphorus and calcium while they are developing adult teeth in order to form teeth’s hard structure. Vitamin D is required along with phosphorus to control the body’s balance of calcium and improve its absorption during tooth formation. Vitamin D can also help to decrease inflammation of gums which is related with periodontal gum disease. 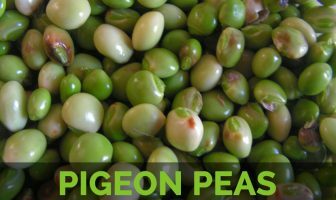 It is used as a vegetable that could be baked, mashed, steamed or made into soups, pickles and sauces or eaten raw in salads. They are good grated into fresh salads and are a perfect snack for dieters. Boiled and mashed, they are somewhat similar to potatoes and can be used like potatoes in most recipes and can be used in a delicious and nourishing soup. 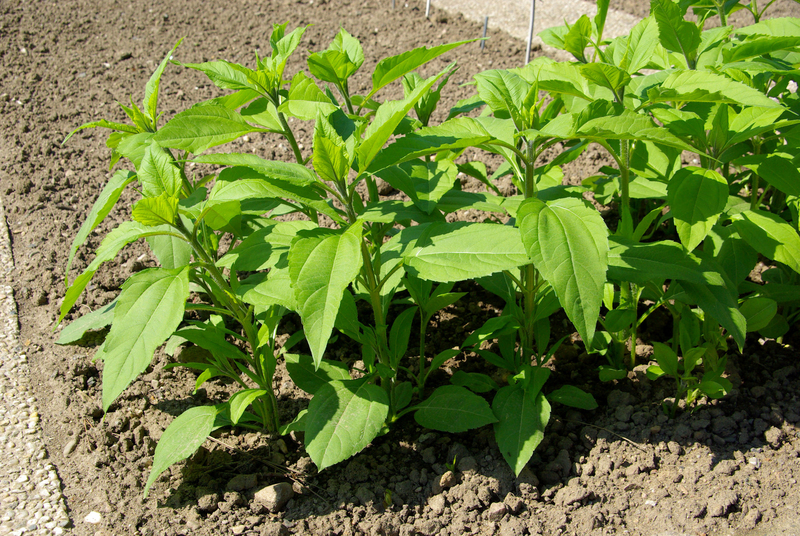 Jerusalem artichokes can also make delicious French fries. They are outstanding when pickled. Jerusalem artichokes can be roasted like potatoes with fowl or meat or bake with cream and cheese for a delicious scalloped/au gratin. Roasted tubers are used as a coffee substitute. 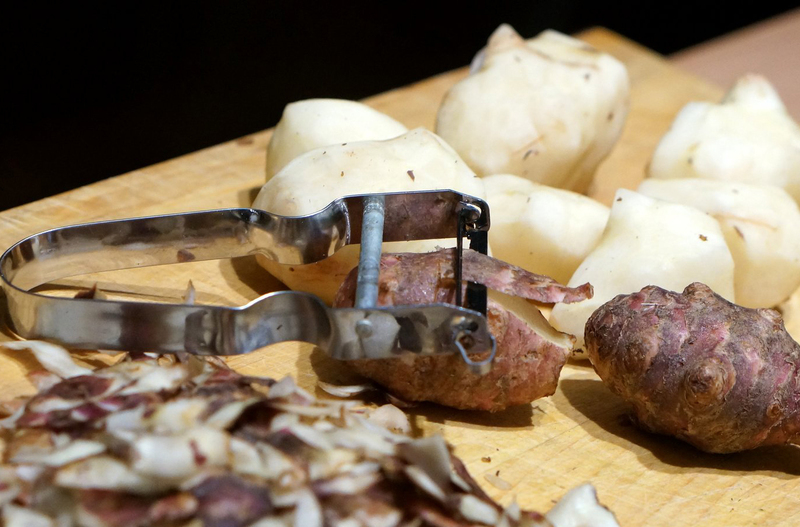 Tubers can also be used for the production of alcohol and fructans. 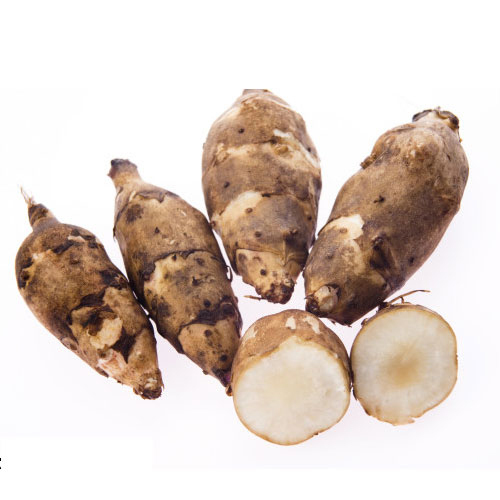 Tubers being rich in inulin are an important source of fructose for industry. 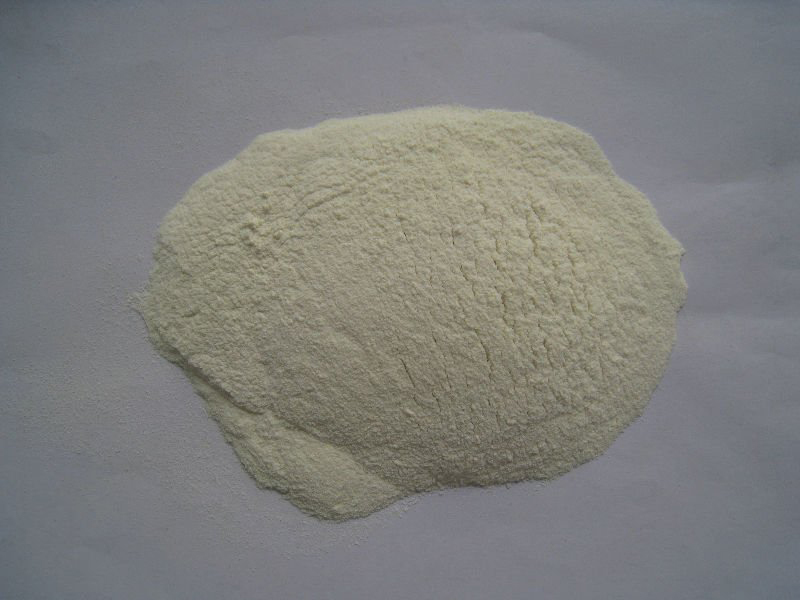 They are used to make sweetening and inulin-rich floury products. Jerusalem artichoke bread prepared from tuber powder displayed a high quality in organoleptic evaluation. In France the artichokes have been used for wine and beer production for many years. Jerusalem artichoke is stated to be aphrodisiac, cholagogue, aperient, diuretic, spermatogenic, stomachic and tonic. It has been reported to be used as a folk remedy for rheumatism and diabetes. Leaves of H. tuberosus showed antipyretic, anti-inflammatory and analgesic effects and were used as folk medicine in China for the treatment of skin wounds, bone fracture, swelling and pain. Tubers are used as folk remedy for the treatment of diabetes in Turkey. Jerusalem artichoke had proven to be a rich source of inulin and was well characterized as potential crops for commercial fructose production. 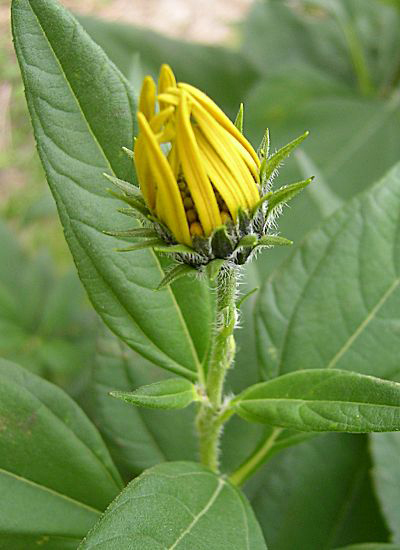 The Jerusalem artichokes may cause the allergic reactions to persons who are reactive to the family of Composite. Sun chokes may perhaps produce gall stones that may be deteriorated by the elevated bile flow.